Imagine Peace Tower in Iceland – Yoko Ono has a million wishes collected over the years from her Wish Tree installations around the world. This beam of light was unveiled October 9,2007 (John Lennon’s birthday) and is lit for two hours on a regular schedule, starting on October 9 every year. Here’s a link to the post about the unveiling. It’s the first annual Worldwide Bird Art Installation Day. 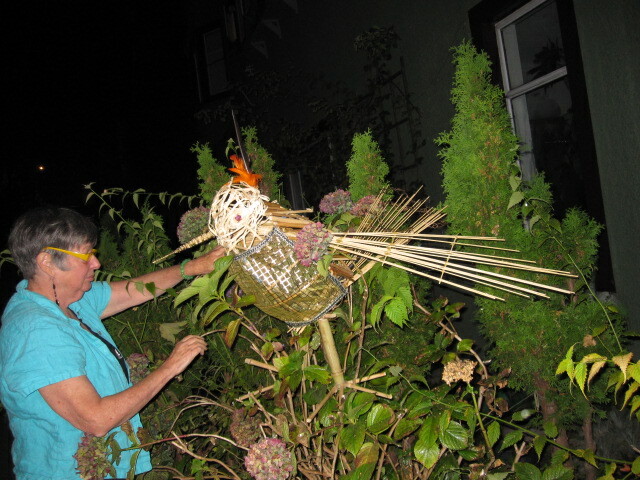 Thank you to Jacquie for contributing the structure (originally meant to be a pear lantern!) and my freecycle friend who donated bamboo blinds and to all who contributed at the Village Vancouver potluck dinner. 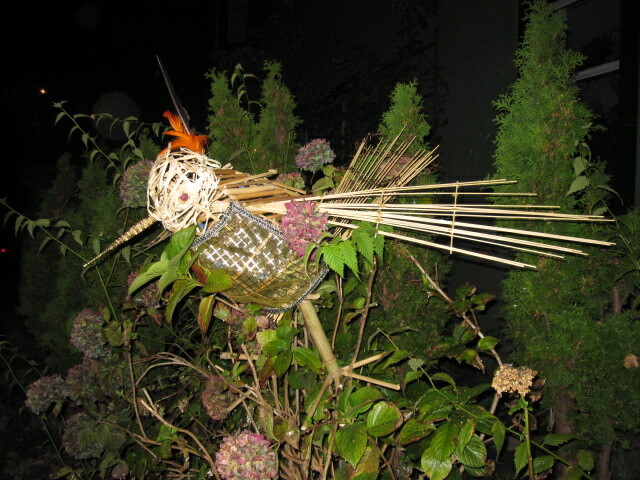 We finished it off last night and now fall is here it was pretty dark as we installed it in the hydrangea bush.